Series on growing and using natural remedies. 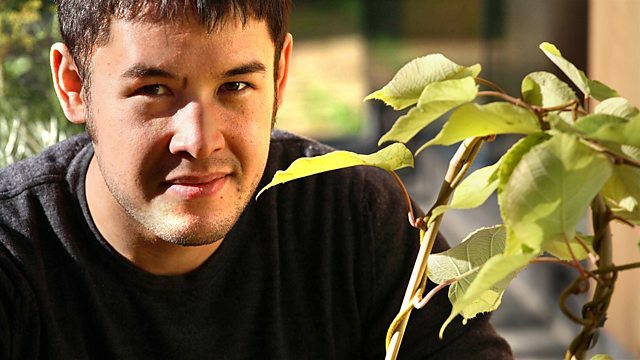 Ethnobotanist James Wong reveals there is more to fruit than just nutritional value, and tries out his remedies on the public. Many people think of plants as purely ornamental, something to brighten up back gardens and window boxes, but in this six-part series, ethnobotanist James Wong demonstrates how to transform familiar plants into simple natural remedies that could help ease the symptoms of minor everyday ailments, as well as how to make some pampering beauty treatments. In this opening episode, James reveals that there is more to some fruit than just the nutritional value. He uses figs to relieve constipation, hops for a good night's sleep, turns kiwis and papayas into a soothing face mask and uses goji berries in a soup that could help feed a cold - and all from things that might be found in any fruit bowl. James tries out his remedies on members of the public, with some surprising results.